While it can detect viruses, it lacks the features modern anti-malware software requires. Sold as a bundle with network-defense tool NetBarrier X9, Intego VirusBarrier X9 really does one thing: Scan your drives continuously as new files are added, unless you’ve set it to perform scans only on a schedule or when you trigger them manually. Intego made the choice that Internet Security X9 doesn’t delete malware by default. Nor can you set the program to automatically do so. Instead, malware is quarantined, with the option to attempt repairing files that contain data you still need. VirusBarrier X9 has a crisp, clean, and bright interface. 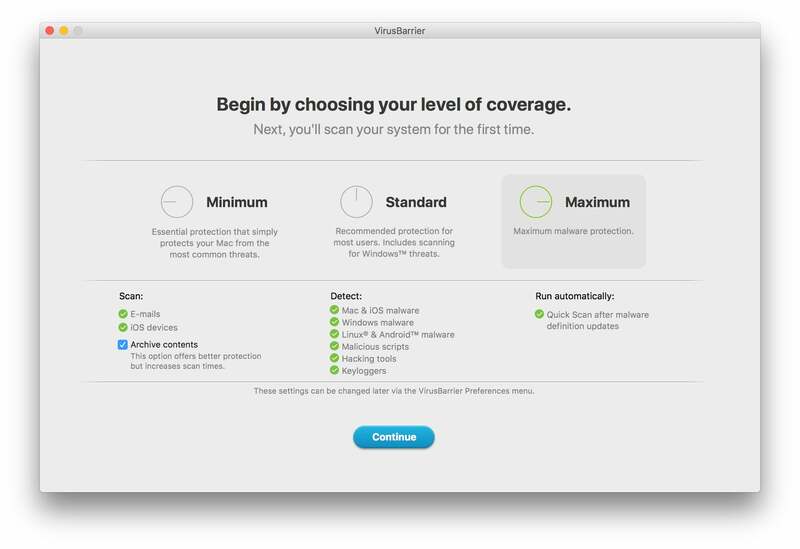 AV-TEST found VirusBarrier caught 100 percent of macOS malware and identified more than 99 percent of PUA, while AV Comparatives scored VirusBarrier at 99.6 percent for macOS malware. Updates to the virus definitions are automated, with a default weekly schedule, but there’s no option to get updates on demand. 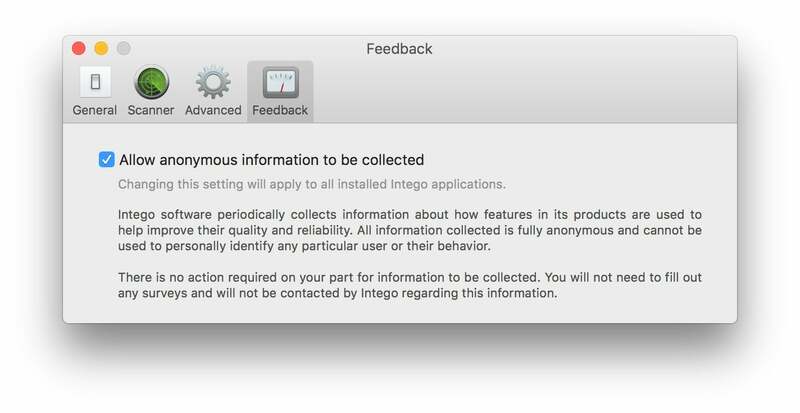 Intego has a very abbreviated privacy statement, as it only aggregates information anonymously. In Preferences > Feedback, you can read its policy and opt out. First, it doesn’t even mention the term ransomware and only uses signatures to detect known ransomware viruses. That’s true of many other packages tested, but it’s still a mark against Intego. There's very strong concern in the security community that macOS will be hit by ransomware—and macOS does not screen for it, only for existing malware that employs ransomware. Second, it doesn't offer native plug-ins for common Mac browsers. Instead, it relies on the protection against malicious sites and software that browser makers have built in. Native extensions provide more robust protection in several, but not all, other products tested. Third, Intego scored the lowest in both AV-TEST and AV Comparatives testing of Mac AV software against Windows malware. AV-TEST gave it a zero score; AV Comparatives, 35 percent. The next worst were ProtectWorks at just over 20 percent and Norton Security at 70 percent, while the rest of the packages reviewed scored at least 90 percent. Several earned ratings over 99 percent or a solid 100 percent. Unless you never interact with Windows users, this is a significant issue. Along with VirusBarrier, the separate app NetBarrier X9 provides solid options for network protection. That’s especially so for laptops, where you may be working regularly in different locations, and want different security settings active in each one. NetBarrier lets you set up different levels of network blocking and monitoring for Home, Work, and Public Hotspot profiles, and prompts you when you join a new Wi-Fi network to identify which of those kinds of locations it qualifies as. The network firewall has coarse high-level controls, so you can, for instance, block all incoming connections. But you can also drill down to more technical settings if you're so inclined, and work with IP addresses and network ports. NetBarrier also filters by application, allowing you to know that apps are trying to send data over the local network or the Internet, and choose to block or allow it. For most people, this level of network and application firewall are enough. Intego's software has no fatal flaws, but because of what it doesn't address, we cannot recommend VirusBarrier until it's updated to handle at least one of the above three points. Even with that, it would still be ranked relatively low among options.